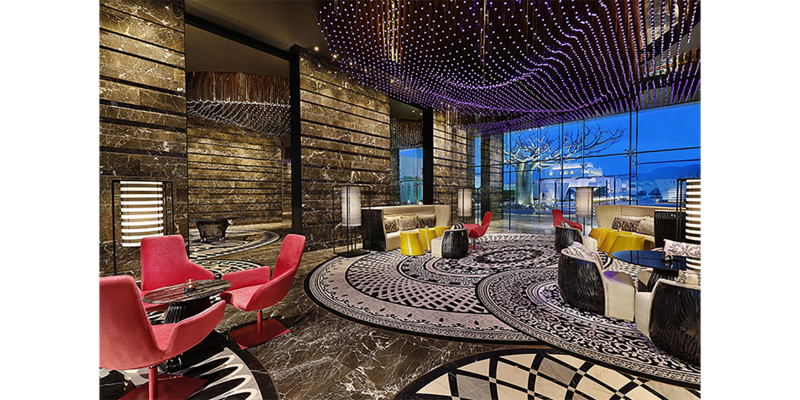 DUBAI, UNITED ARAB EMIRATES, 2019-Apr-11 — /Travel PR News/ — Marriott International today (04/08/2019) announced it expects to add 19 new properties and more than 3,000 rooms to its Middle East and Africa portfolio in 2019. Underpinning a strong demand for its diverse brands, the new additions are in line with the company’s expansion plans to add more than 100 new properties and nearly 26,000 rooms across the region by the end of 2023. Marriott estimates its development pipeline through 2023 represents up to $8 billion of investment from property owners and is expected to generate over 20,000 new jobs across the region. The company is poised to expand its luxury footprint in the region by more than 70 percent by the end of 2023, with more than 25 luxury properties under development. Regis anticipates debuting in Jordan and Egypt with the openings of The St. Regis Amman and The St. Regis Cairo. The iconic North Island is expected to join The Luxury Collection’s portfolio of world-renowned hotels and resorts. The growth of Marriott’s premium brands remains steady across the region with more than 30 hotels expected to be added to the portfolio by the end of 2023. Four Points by Sheraton anticipates expanding its portfolio with a total of four openings in 2019. The brand recently opened properties in in Sharjah (UAE) and Setif (Algeria) and is on-track to open two more properties this year including, Four Points by Sheraton Dar es Salaam New Africa in Tanzania and Four Points by Sheraton Lahore in Pakistan. This news release contains “forward-looking statements” within the meaning of federal securities laws, including the number of lodging properties the company may add in this and future years and similar statements concerning possible future events or expectations that are not historical facts. We caution you that these statements are not guarantees of future performance and are subject to a number of risks and uncertainties, including changes in market conditions; changes in global and regional economies; supply and demand changes for hotel rooms; competitive conditions in the lodging industry; relationships with clients and property owners; the availability of capital to finance hotel growth and refurbishment; and other risk factors that the company identifies in its most recent annual report on Form 10-K or quarterly report on Form 10-Q; any of which could cause actual results to differ materially from the expectations we express or imply here. We make these statements as of the date of this press release, and we assume no obligation to publicly update or revise any forward-looking statement, whether as a result of new information, future events or otherwise. This entry was posted in Business, Hospitality, Hotels, Luxury, Resorts, Travel, Travel Management, Travel Services, Travelers and tagged Africa, hotels, Jerome Briet, Marriott International, Middle East. Bookmark the permalink.